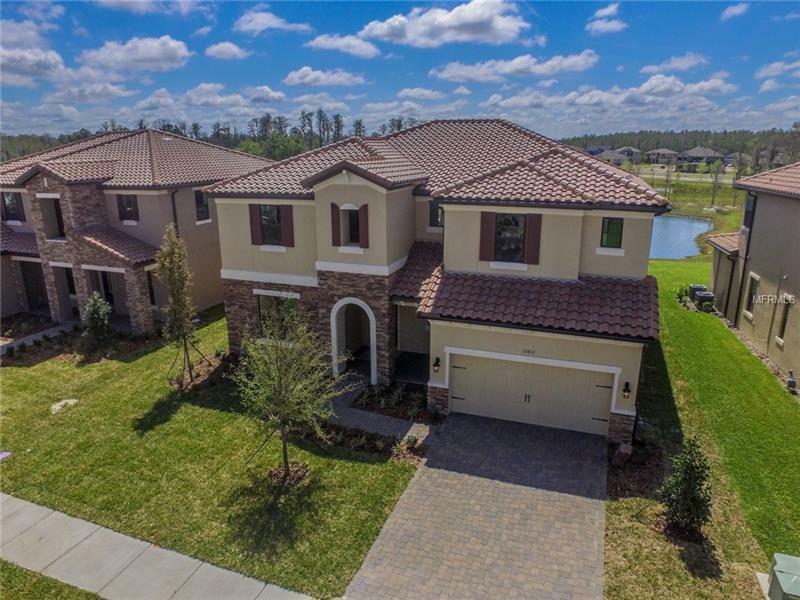 STARKEY RANCH, Pasco County’s highly regarded master planned community is ready for you to call home! This floor plan, the Palazzo LE is a 4/4/3 home. This exclusive LE home features an open floor plan with formal living/dining combo, as well as a Super Game Room connected through the kitchen. The gourmet kitchen has a large island with Granite counter tops, 42” upgraded cabinets with crown molding and stainless appliances. You’ll love the 8 ft grand double door entry into the master suite. Your deluxe master bath includes a garden tub, large shower, granite counters in the bath with dual sinks, and upgraded wall tile. This home is loaded with upgrades! Starkey Ranch is one of kind including over 800 acres of parks and Future Amenities to include district park for sports and recreation, community pools, dog parks, community theater, K-8 school, library and 20 miles of trails connecting to Starkey Park Nature Preserve. This home also features a 15-year transferable structural warranty! Welcome home to luxury! Please note that pictures shown are a REPRESENTATION of the home and floor plan and may NOT be the actual home itself. The pictures are for INFORMATIONAL PURPOSES ONLY.